Welcome To ColleenRichman.com: #ShareTheLuv With Savings On Luvs Diapers! 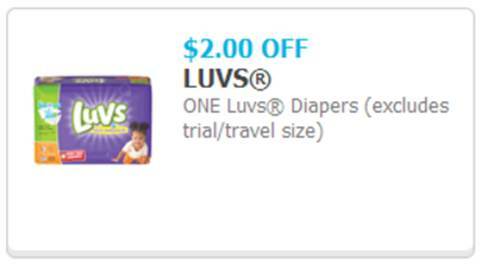 #ShareTheLuv With Savings On Luvs Diapers! Let's face it, not only are diapers a necessity but you want a diaper that "luvs" your baby just as much as you do! A lot of experienced moms use Luvs and that's why I'm happy to share that Luvs Diapers is offering savings for you in two different ways! This month, you can snag a printable coupon and save $2 on your purchase. The coupon can be used at any store that carries Luvs. Plus you can stretch your savings further by combining your coupons with a rebate from Ibotta. You'll receive $5 cash back on your purchase of Luvs Diapers (54 ct or larger). If you are not familiar with Ibotta, it is a free app that you can earn cash back on from buying products from establishments/stores that you frequent. After you download the free app, you can search for Luvs and when you purchase the qualifying diapers you'll verify your purchase by scanning the barcode of the item and your receipt and you'll receive $5 in your Ibotta account (allow up to 48 hours for deposit to appear). So, why are Luvs a preferred choice of moms? First off, Luvs are more absorbent than ever before with large stretch tabs for easy fastening. They are soft on your baby's skin and since Luvs Ultra Leakguards with Nightlock Plus offer wonderful quality for your baby, you can rest comfortably at night.